Tropolism means design by doing it yourself. 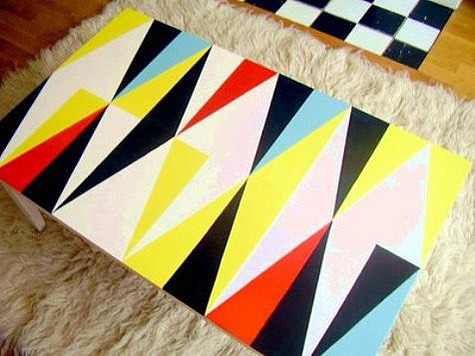 Materialicious gives us a great coffee table makeover, inspired by Tropolism favorite Gio Ponti's Paolo console table. It's not in screen-printed leather like the original, but it's an inspired idea regardless. Stay tuned with them for how-to instructions.